Discord has risen among the ranks of gamers as the most common choice for game-related communications. And it’s easy to see why: it works well and the competition is pretty dismal. 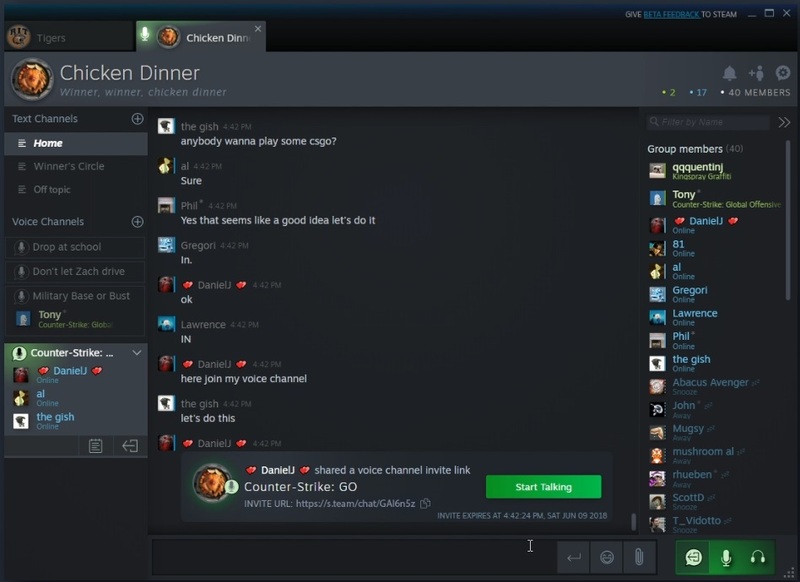 But Valve is looking to keep users in-house with an overhaul of the chat options on its game platform Steam. 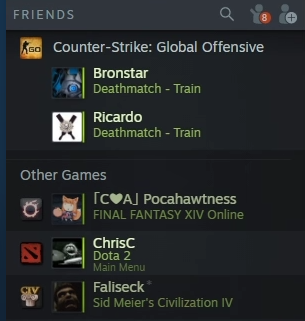 It’s a welcome change, one of many that Steam’s users have surely been asking for — the platform, while convenient in many ways, is also incredibly outdated in others. The friend and communications options may as well be ICQ, and let’s not get started on the browser. Today’s news suggests that Valve has not failed to hear gamers’ cries. The revamped chat is very Discord-like, with text and voice channels listed separately, in-game details like map and game type listed next to friends and a useful quick list for your go-to gaming partners. There’s also a robust web client. Voice and text chat is all encrypted and passed through Steam’s servers, which prevents the NSA competition from monitoring your squad’s tactics during PUBG games and griefers from tracing your IP and ordering a hundred pizzas to your door (or worse). It’s long past due for a platform like Steam, but more importantly it lets them keep Discord in check. The latter, after all, could conceivably grow itself a game store or promotions page in order to subsidize its free services — and that would be stepping on Valve’s turf. Unforgivable. That said, it’s far too late for Steam to steal away Discord’s users — it’s been adopted by far too many communities and the benefits of switching aren’t really substantial. But for people who have not yet installed Discord, the presence of a robust chat and voice client within Steam is a powerful deterrent.